The human respiratory infection caused by a particular influenza virus H1N1 strain popularly known as swine flu was first recognized in spring 2009. A few months after the first swine flu cases were reported, rates of confirmed H1N1-related illness were increasing in much of the world. As a result, the World Health Organization declared the infection a global pandemic. 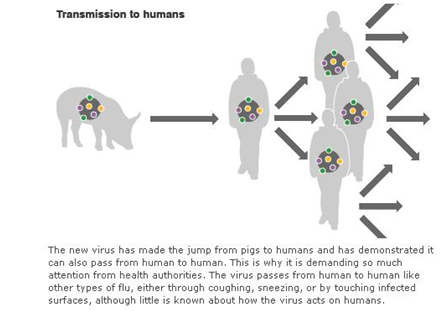 Swine influenza (novel H1N1 and H3N2v) spreads from person to person, either by inhaling the virus or by touching surfaces contaminated with the virus, then touching the mouth or nose. 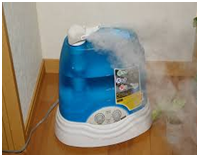 Infected droplets are expelled into the air through coughing or sneezing. H3N2v does not spread as easily from person to person as H1N1. This poor transmission rate is likely why there have been so few individuals infected with H3N2v. 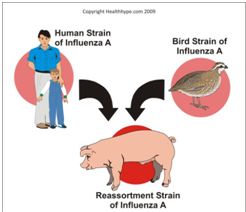 Research suggested that H1N1 swine influenza is about as contagious as the usual human influenza. 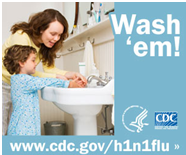 If one person in a household gets swine flu, anywhere from 8%-19% of household contacts likely will get infected. Reports from the southern hemisphere suggest that swine influenza caused slightly more infections than would be normal for an influenza season. 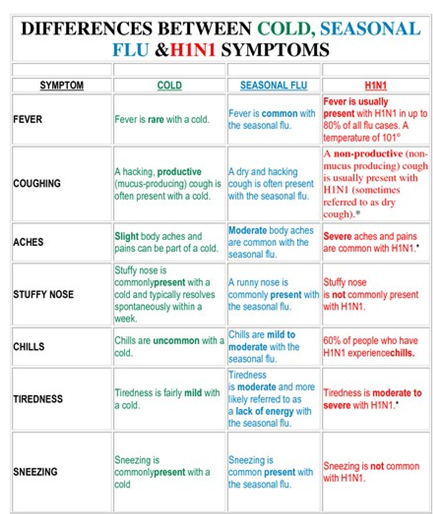 Like seasonal flu, swine flu can lead to more serious complications, including pneumonia and respiratory failure. And it can make conditions like diabetes or asthma worse. If you have symptoms like shortness of breath, severe vomiting, abdominal pain, dizziness, or confusion, call your doctor immediately. Patients who develop flulike illness (i.e. fever with either cough or sore throat) should be strongly encouraged to self-isolate in their home for 7 days after the onset of illness or at least 24 hours after symptoms have resolved, whichever is longer. To seek medical care, patients should contact their doctors to report illness (by telephone or other remote means) before seeking care at a clinic or hospital. Patients who have difficulty breathing or shortness of breath or who are believed to be severely ill should seek immediate medical attention. 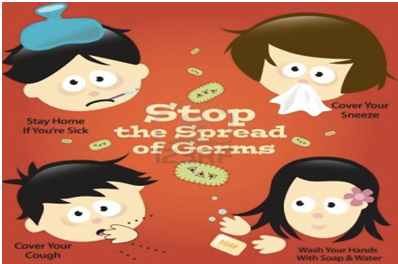 If the patient must go into the community (eg, to seek medical care), he or she should wear a face mask to reduce the risk of spreading the virus in the community when coughing, sneezing, talking, or breathing. If a face mask is unavailable, ill persons who need to go into the community should use tissues to cover their mouth and nose while coughing. While in home isolation, patients and other household members should be given infection control instructions, including frequent hand washing with soap and water. Use alcohol-based hand gels (containing at least 60% alcohol) when soap and water are not available and hands are not visibly dirty. 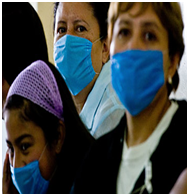 Patients with H1N1 influenza should wear a face mask when within 6 feet of others at home. Gargling salt water (1:1 ratio warm water to salt) to soothe a sore throat at least 3 times a day. Decongestants can ease discomfort from stuffy noses, sinuses, ears, and chests. Talk to your doctor about which kind is right for you. 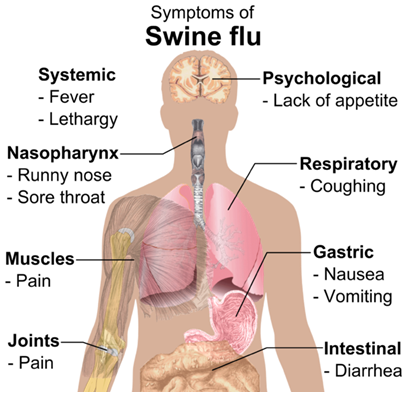 Diagnosis of swine flu influenza A infection is done by laboratory analysis. If you have flu like symptoms, your respiratory specimen will be collected, preferably within 4 to 5 days of visible symptoms. A real time PCR (Polymerase chain reaction) test is done where the viral genetic material is identified. 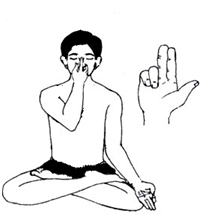 Once the patient is tested positive for swine flu, treatment needs to be initiated immediately. 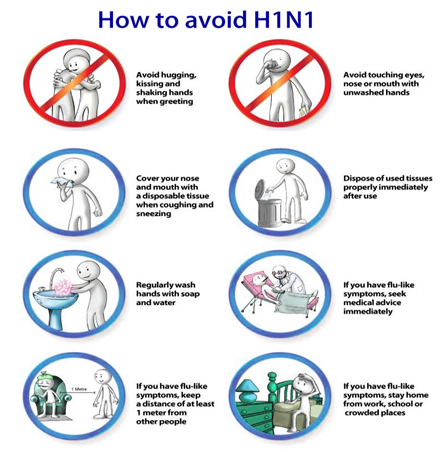 According to the National Institute of Communicable Disease (NICD), swine flu can be completely treated if it is diagnosed at a very early stage. 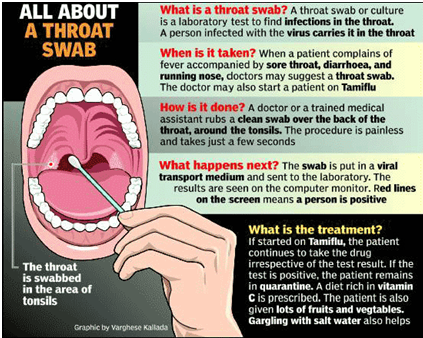 The antiviral medicines oseltamivir (Tamiflu/Fluvir) and zanamivir (Relenza) are given to diagnosed patients. Oseltamivir is given to in adults as well as to children below the age of 1 year. As per NICD, the medicine should be administered within 48 hours of the first symptom. The drugs work by inhibiting the ability of virus to release progeny virus particles. Though exercise is a very important part of maintaining a healthy lifestyle, those suffering from flu experience tiredness and muscle pain. Just remember that overly intense physical activity may worsen the symptoms by pushing an already-weakened immune system too hard. 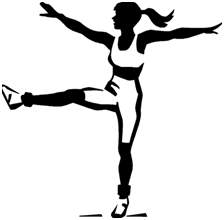 So during Flu symptoms complete rest is recommended.You can resume your normal physical activity routine 1 week after symptoms have subsided. You and all healthy people in the house should clean their hands with soap and water or an alcohol-based hand rub frequently, including after every contact with the sick person, the sick person's room or bathroom, or items used or touched by the sick person. 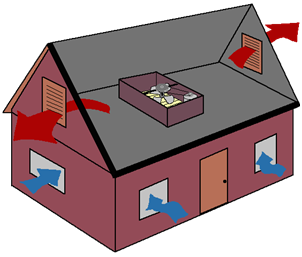 o	Throw the sick person's tissues and other used disposable items in the trash. o	Keep surfaces clean (especially bedside tables, surfaces in the bathroom, doorknobs, phones, and children's toys) by wiping them down with an approved household disinfectant. o	Clean linens, eating utensils, and dishes used by the sick person thoroughly before reusing. You do not need to wash items separately. Wash linens (such as bed sheets and towels) with laundry soap. Avoid hugging laundry to your body before washing it to prevent contaminating yourself. Eat foods rich in vitamin C, like grapefruit, oranges, and tangerines. 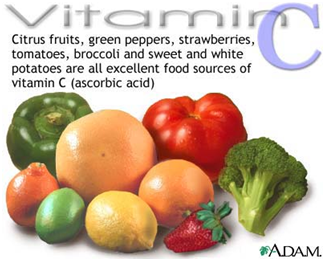 Studies that have shown that high levels of vitamin C help build immunity. Increase your omega-3 essential fatty acids by selecting high-quality wild-caught salmon, fish oil, avocados, and sprouted walnuts. 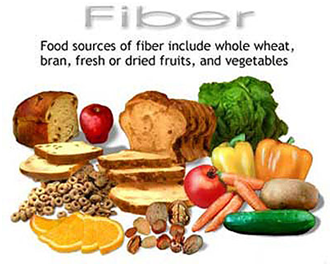 Add high-quality fiber to your diet, such as ground flax seed, whole wheat, bran etc. - All foods containing refined sugar or artificial sugar-substitutes such as aspartame. The most important point to remember about food choices is that a healthy well-balanced diet should contain a variety of foods. Relying on a single food or food group to provide adequate nutrition can be dangerous. Also, replacing fresh fruits and vegetables with supplements has in many cases not been shown to provide the benefit of food and may even be harmful. Check more options by going to these links. (3), (1). Do not add SALT while cooking or as seasoning.